Malawi Congress Party (MCP) says it is disappointed with lack of interest among women in Dedza to contest in its primary elections which were scheduled for 28 August, 2018 but have since been postponed. Top officials for the opposition party have said out of 37 aspirants for Member of Parliament (MP) positions in the primaries, only three are women while another three women are interested in ward councillor positions, out of 44 aspirants. 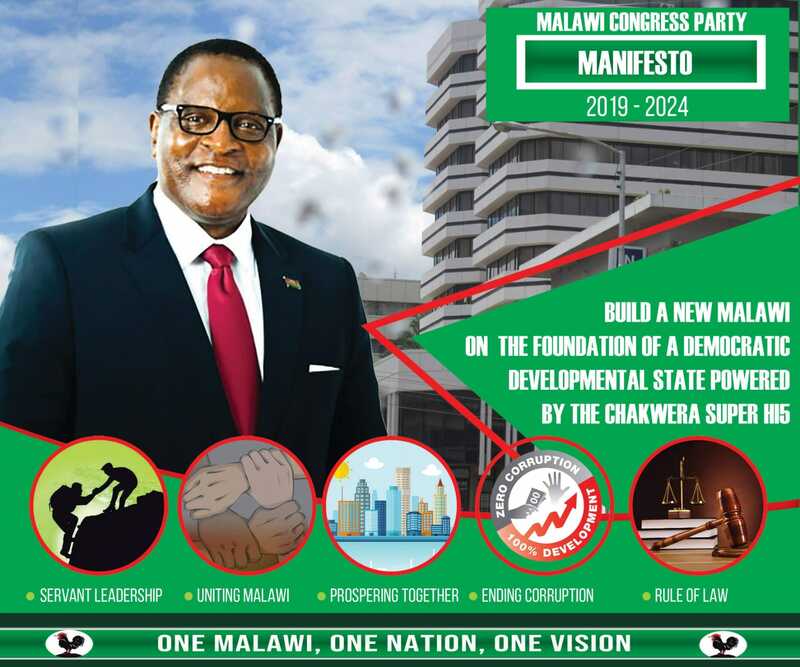 The party’s Regional Chairperson in the Central Region, Patrick Chilondola said the development is a concern to the party, considering that it is happening at a time various stakeholder are incessantly calling upon women to participate in politics. Chilondola was speaking in an interview on Tuesday on the side lines of an induction for aspiring MPs and councillors in the district. “Currently, we have two women who have shown interest to contest on the position of Member of Parliament plus the current Member of Parliament for Dedza East who is also a woman, making a total of three women,” Chilondola said. He, however, said the party is fully prepared for the primaries, saying they have given each and every aspirant equal opportunity to campaign and contest in the primaries. District Chairman for MCP in Dedza, Rodrick Chipwatali said that 37 aspirants will compete for positions of Members of Parliament in the primaries in the seven constituencies and 44 aspirants will compete for the positions of ward councillors in all the wards located in the seven constituencies. Chipwatali added that it was sad to note that out of 81 aspirants who are going to contest in both positions, Members of Parliament and ward councillors, only six are female candidates. He said that most women lack confidence, hence their failure to participate in political leadership positions. Iwee Chokazinga, I think mutu wako unakazingikadi iwe. Mavuto aku Kongolesi akukhudza bwanji “fixing number ya azimayi” ku parliament? This should be fixed at party level. Mbuzi iwe eti? Comments reserved till next date of the meeting is set. The political environment is not conducive to women. When a woman makes a mistake all women are attacked, for example, JB failures were attributed to her being a woman, but when a man fails, his failures are never attributed to all men. The individual takes the blame. It’s not surprising that the Meat for Crocodiles Party (MCP) is attracting little interest from women. “No” the real reason women are shunning is: they do not want to be associated with MCPs bloodshed history.. This party remains a party of death and darkness. Women know this. Women are clever, you can’t fool them. The truth is UTM is waiting kuti itole makombo omwe MCP isiye pa ma primaries. Thats why you cried like babies when MCP was thinking of shifting dates for primary elections. Lunguzi you are not there yet. You will regret the UN job you voluntarily left in South Sudan to join politics when you lose next year. Losing to Who? you must be dreaming.